Death from the skies! Operation Kondor, the aftermath of Operation Babylon has started! After the initial Axis invasion, things are getting heated in a hurry between the Tigris and the Euphrates. The Allies and SSU have now realized that the third Bloc wouldn’t have committed so many forces for anything other than a prime objective. If the Axis sought oil, they would have attacked elsewhere like the Arabian Peninsula or Iran’s oil fields. They sure are in for more than sand and old ruins, aren’t they? NDAK forces have finally found their target: an isolated outpost on the outskirts of the desert held by a handful of French Foreign Legionnaires in an area crawling with Spetsnaz. Only the Luftwaffe boys can mount the fastest strike ever to take this objective before anyone else: Operation Kondor. 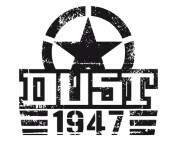 This new expansion for Dust 1947 describes all the Luftwaffe forces, with new characters, vehicles, Platoons, etc. With the Operation itself come three short stories by Andy Chambers himself, a must read for every Dust fan! Please note that Operation Kondor comes with a separate booklet describing Dust 1947 Advanced Free-form, for the most demanding players out there.